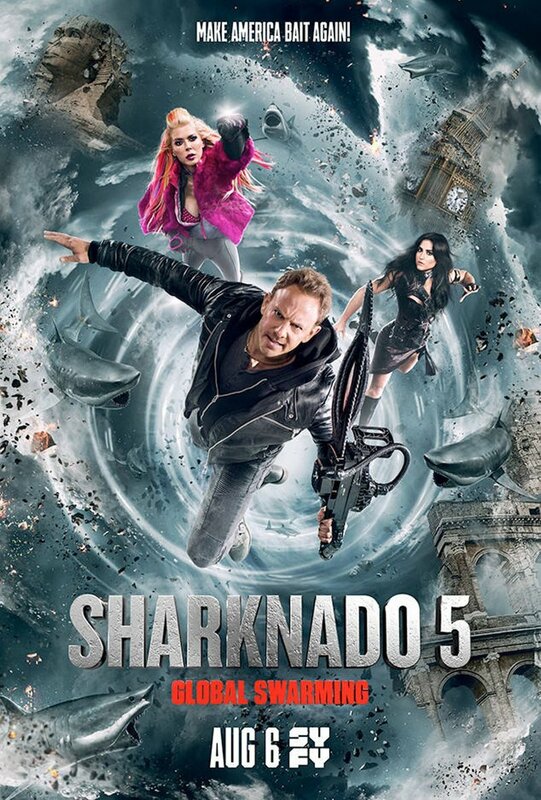 Sharknado 5: Global Swarming DVD and Blu-ray release date was set for October 3, 2017 and available on Digital HD from Amazon Video and iTunes on October 3, 2017. The deadly sharknados are back! The United States has been thoroughly devastated by the last run of rampant sharnados which were the first after five years of peace and prosperity. After The Eiffel Tower from Paris fell out of the sky, a new fear spread that sharknados were happening elsewhere around the world. Could a global sharknado start at any moment? After being reunited with April who he thought had previously died, former surfer and bar owner turned hero, Fin, decides that it's up to him and his loved ones to stop the sharknados before more families are torn apart.